So this post is a little late in coming, its been a few weeks now since Willow turned one. I like to think 1st Birthdays are kind of a big deal, I mean, what a massive year for everyone, and how cute are they when they try cake for the first time! It's amazing to watch their faces! 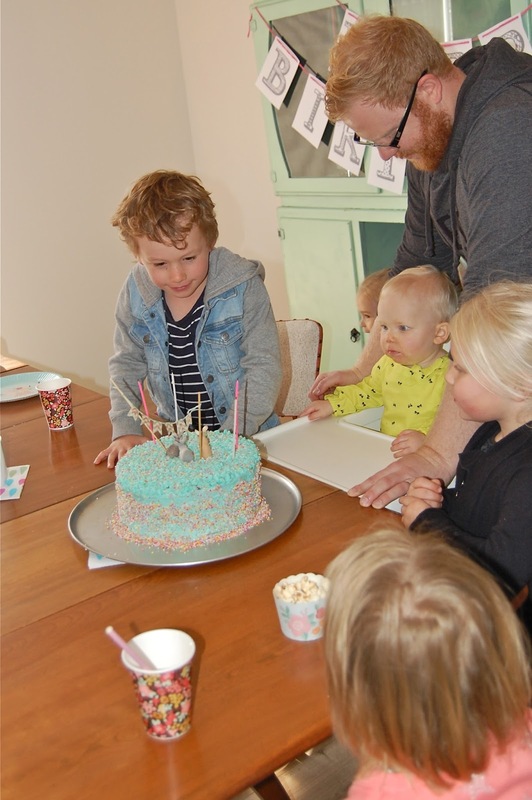 SO, we threw her a bit of a party, and she loved playing with all the balloons, and eating cake, she definitely LOVED eating cake, but there is no surprises there! Her birthday was an excuse to get our friends to make the hour drive down and visit us and see the new house! We haven't really had lots of time for visitors seeing every weekend we seem to be embarking on some new project, and theres the shop too. It was so nice to see everyone again and just hang out. It maybe got a little chaotic, but thats why I am so grateful for our big house and open spaces! I feel like with the second child their first year just flies past. Its hard to believe she's almost 13 months, she's given up on crawling and is walking everywhere now, and has said her first official word, which is 'Shoe' closely followed by the word 'sock'. No surprises there really, seeing she's got a pretty great shoe collection already thanks to her mini shoe adddict Mum! A child after my own heart, oh we are going to have some fun! It wasn't really a overly themed birthday party, but due to her love of her Ikea Rabbit stuffed toy 'Rab Rab' and her new Mini Melissa Rabbit shoes, I decided that the cake, at least had to have a Rabbit theme. I roped a friend into helping me with some DIY tissue paper tassel decorations! And I got the Love Mae party plates and cups and such on sale! Thanks to some inspiration from Babs at Patchwork Cactus we served American Hotdogs with a range of toppings, including chilli con carne, sauerkraut, onions, cheese, all the good American style stuff! We bought Hunsa hotdogs, and Joel, reckons that they are pretty darn close to real American hotdogs! And he should know, they were part of his staple diet growing up! ha! I also ended up taking heaps of cake photos and not a whole lot else! Thats what happens when you are hosting, you have no time for pictures. I didn't even get one with the Birthday girl. 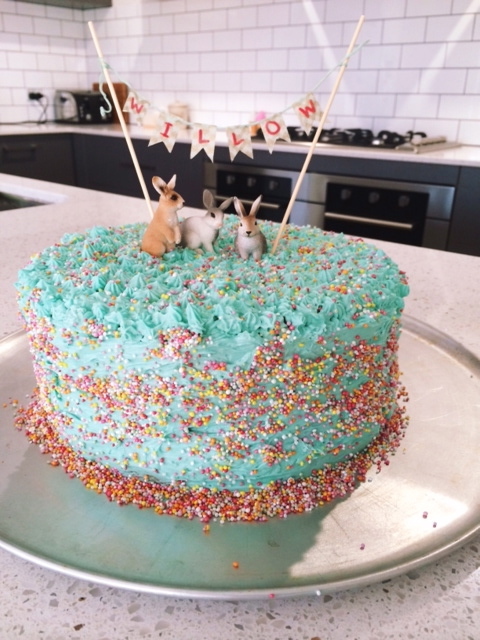 1 comment on "A Rabbit Party for Willow"
Its such a cute cake. We're having a first party here in a week. Im so excited! I'm doing a washi tape bunting for our cake too.